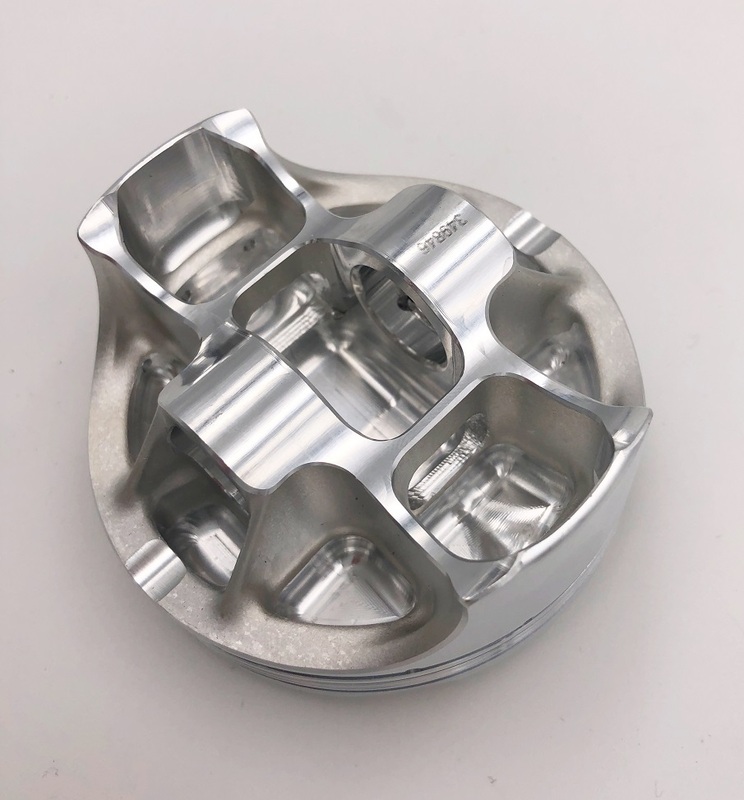 BMW S1000RR Custom high compression pistons are based on CP's latest super lightweight forging with lots of additional machining in tight places to offer the ultimate high performance upgrade. Available in standard bore 80mm or + 2 @ 82mm. Each forging is designed using an advanced 3D modeling software package and is qualified through a rigorous Finite Element Analysis entity. 3D modeling enables CP to check thicknesses and weights before manufacturing allowing CP to produce the strongest and lightest part for your application. 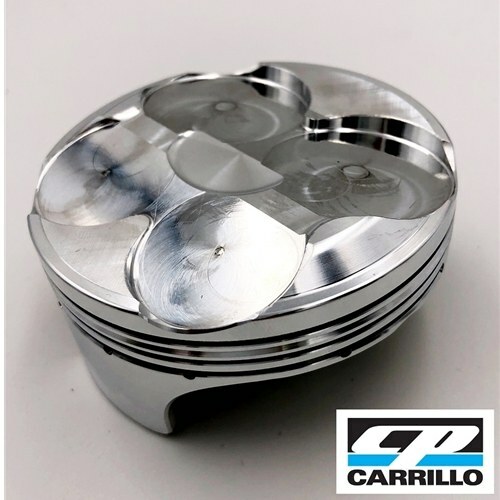 CP has developed proprietary tooling, dedicated cutters and unconventional fixtures to ensure that each piston is produced to the highest quality.